Blowers, Paul M., ed. and trans. The Bible Through the Ages, Volume 1: The Bible in Greek Christian Antiquity. Notre Dame: University of Notre Dame, 1997. Bright, Pamela, ed. and trans. The Bible Through the Ages, Volume 2: Augustine and The Bible. Notre Dame: University of Notre Dame, 1999. Costello, Charles Joseph. St. Augustine’s Doctrine on the Inspiration and Canonicity of Scripture: A Dissertation. Washington, DC: Catholic University of America, 1930. Danielou, Jean. From Shadows to Reality: Studies in the Biblical Typology of the Fathers. London: Burns & Oates, 1960. “The Fathers Know Best: Bible’s Inspiration and Inerrancy” in This Rock, Vol. 3, No. 11, November 1992. “The Fathers Know Best: The Politically Correct Bible” in This Rock, Vol. 4, No. 5, May 1993. Filippo, Stephen N. “Scripture Through the Eyes of Augustine” in This Rock, Vol. 11, No. 9, September 2000.
de Lubac, Henri. History and Spirit: The Understanding of Scripture According to Origen. San Francisco: Ignatius, 2007.
de Margerie, Bertrand. An Introduction to the History of Exegesis I-III. Petersham: Saint Bede’s, 1991-1995. Sadowski, Frank, ed. 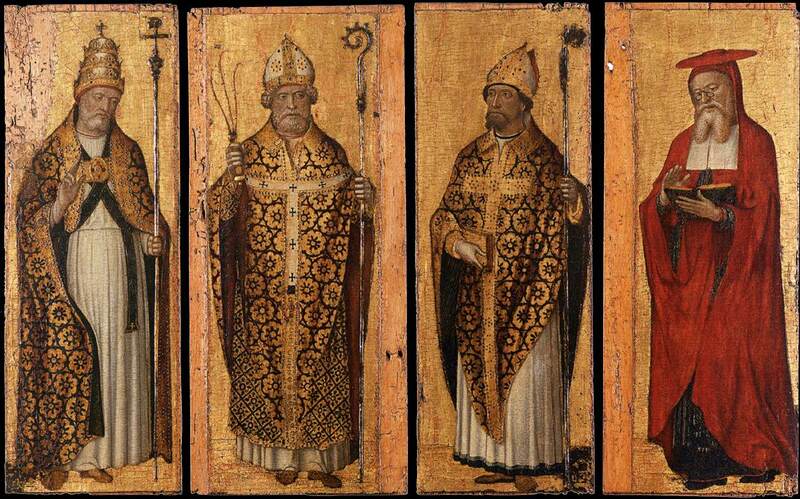 The Church Fathers on the Bible: Selected Readings. NY: Alba House, 1987. Simonetti, Manlio. Biblical Interpretation in the Early Church: An Historical Introduction to Patristic Exegesis. Edinburgh: T&T Clark, 1994. Trigg, Joseph W. Message of the Fathers of the Church, Volume 9: Biblical Interpretation. Wilmington: Michael Glazier, 1988.